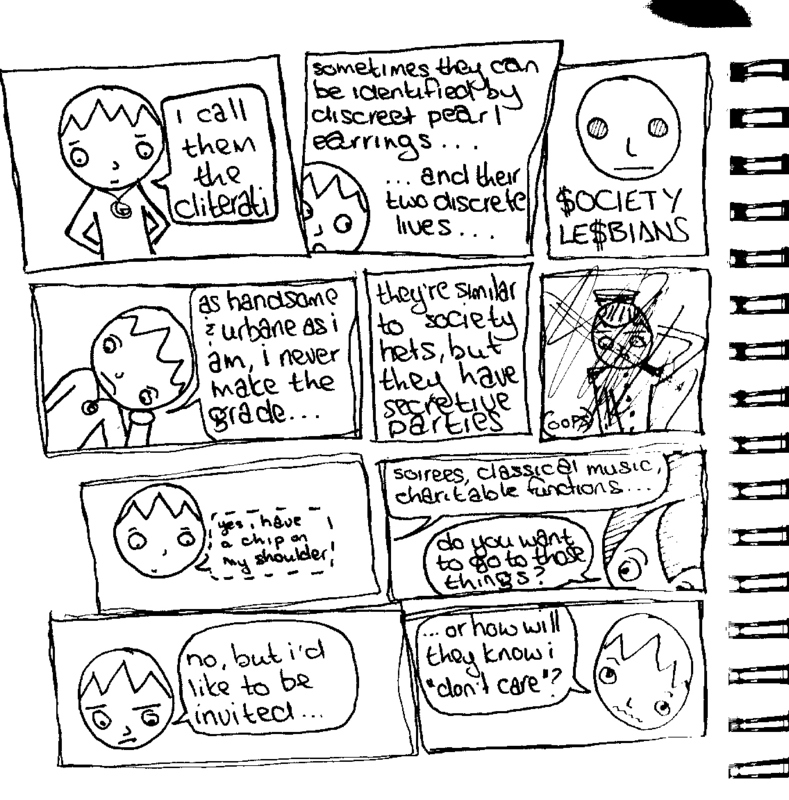 This entry was posted on Thursday, December 23rd, 2010 at 10:33	and tagged with badly drawn dykes, butch, cartoon, cherrybomber, dyke, dyke drama, east london, eastern cape, emo, femme, gay, girlfriend, labels, lesbian, lesbian webcomic, lgbt, lgbtq, lgbtqi, queer, south africa, webcomic and posted in badly drawn dykes. You can follow any responses to this entry through the RSS 2.0 feed. about fifty thousand dollars a year. fun to wake up to. I had to live in this world for a while. Especially easy to do as a femme. i want the inside scoop! gossip! teach me the secret handshake dammit! It’s yet another stereotype, but the words “dyke” and “drama” frequently stroll hand in hand through our little lesbian ghetto. We all roll our eyes at the notion and pretend it only happens to other dykes. The treatment of the lesbian relationship as integral to magic, representative of each other (love is magic, magic is love), earned the series some critical commentary from conservative Christians.